A local college student takes photo bombing to the local crowd, and the reactions couldn’t be more appropriate. Or inappropriate depending on how you look at it. 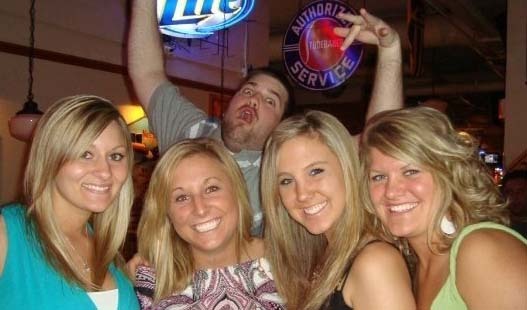 What is photo bombing, one might ask? It’s simple. Find a picture being taken, position yourself (obscurely) in the picture and smile – or not. According to Whois.net, ThisIsPhotobomb, a website that is devoted to the art, has been functional as a stand-alone site since 2009. With more than 1000 pictures, it is easily the biggest collection of ruined photos anybody has ever taken the free time to collect. But with the advent of Facebook, creeping has become a more intimate project. 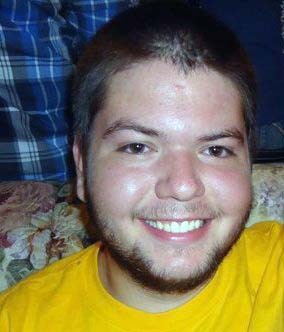 Thomas Miller, a sophomore at Kirkwood’s Iowa City campus, has taken the task of compiling his friends’ best ruined pictures. But just because you send the pictures to the Keeper of the Creepers, you are not guaranteed entry into the system. One of the most beloved pictures of the audience has two male friends kissing on a dare, and what do you know, another person creeps into the picture underneath the arms of the two friends. With material like that, the effort put into creeping needs to be top-notch – kind of. Slow to start, the album contained only the prom pictures of Miller. But soon, the competition started. “The ones of me are the best,” said Miller’s brother, Andrew. The art of creeping is on par with the skill needed for some of the most daunting tasks. It’s not easy. You have to be patient. It’s like trout fishing. You may see an opportunity, but by the time you see it they always see you. So you kind of have to act like you aren’t going for it, and you have to time it, so when they push the button you just slide right in there. Also, a lot of people do it wrong, and that irks me. A lot of people just like to stare at the camera. Why stare at it when you can completely ruin it and draw complete attention to yourself? That is what I think makes the best creep. And his pterodactyl creep is proof of his excellence in the field. Since the creation of the Creepin Album, Tom says he has received some weird comments. The pressure to keep a quality product on the internet has done nothing to stop his creative eye from scanning hundreds of pictures to find the best ones. If the math is correct. At two years running, giving the start up process six months, Tom has received, estimated, between 400 to 800 pictures to add to the album. However, the album now only contains a roster of 83 pictures. The best of the worst, so to speak. These pictures have yet to be nominated for Album status, but rest assured, something like that has not gone unnoticed by Miller. NOTE: Link to album has been requested by creator to be unlinked. But it does exist. Edit: Not 5 to 10 messages per day, it’s per week. Corrected math as well. Sorry gang. CNN questions the worth of the war in Afghanistan and leaves visitors to the site to share their views on this subject. As Iowa faces its largest deployment since WWII, I would contact the ROTC office at the University using the contact information on this website. They would possibly be able to give me information on veterans fromt he University, which I would then implement my journalistic skills to find these people and talk to them. I also used the University Directory to find this info. The second source would be a broader one. I would talk to Chuck Grassley, one of Iowa’s Senators. I found him through the Senate’s website to find the 2 senators from this state. If you have been to downtown Iowa City, chances are you have walked past at least one of Jim Mondanaro’s establishments. Mondanaro has been in the food business for over 30 years, including many local bars, restaurants, and grocers. And now Mondanaro is the owner of Iowa City’s most recent yoga house, Hothouse Yoga. Some may say that restaurant investing is a risky thing to do (all of the teachers in the University of Iowa’s Business School) but still, Mondanaro has made a living out of risky investments and has created a “food empire” in the Iowa City/Coralville areas. If one family can successfully run most of the finer dining in one city, how risky can it truly be? In the first paragraph, I chose to link to the specific sites of an example of Mondanaro’s establishments. Although they are all written to endorse those specific businesses, they also provide a ton of information about each individual establishment. The second paragraph was all about Mondanaro’s claim to have the best ingredients in town, so I thought it would be fitting to link to a blog post about just that topic. You can see who John Foley is by looking at his about page and find out this man is someone who knows what he is talking about. The third link is an old forum, but the information given by the members was credible and specific to investing in the restaurant business. I could not see who exactly italkcash is, but an administrator on a forum website is typically someone with extensive knowledge in whatever the forums are about.